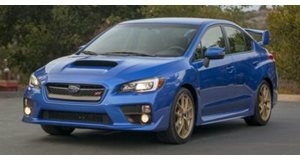 The Subaru WRX STI is basically the same car it has always been since way back in 2007 when it first debuted. It has softened with time but the overall formula is the same: Take a punchy 2.5-liter turbo-four, add all-wheel drive and top with a manual transmission. 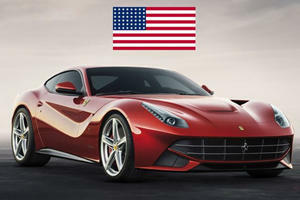 The result is a car beloved by enthusiasts and automotive writers the world over. We got a chance to spend a week with the 2016 Subaru WRX STI , and while we loved the experience we came away afraid for the model’s future. The reason why we fear for the STI’s future has nothing to do with the car itself. It remains an incredibly fun machine. Critics have derided it for going soft and for the engine not being upgraded in the power department. Yes, 305 horsepower and 290 lb-ft of torque isn’t all that impressive nowadays, but you never feel short changed when behind the wheel. As cliched as it sounds, this thing really does make you feel like you’re driving a rally car. It’s quick, with a quoted 0-60 mph time of 4.6 seconds. Put the drive mode in Sport# for bonkers throttle response and let the all-wheel-drive system nudge you back to safety when you get too close to the edge. On a curvy road the WRX STI is pure bliss, the perfect blend of handling and power. The engine is powerful and peppy enough to rocket you out of a corner and the AWD knows when to back off and when to barge in. You can mess with the differential settings all you want but oversteer can't really be achieved. The good news is that understeer isn't a problem you'll need to worry about. In the WRX the power steering is electronically assisted. Here it's hydraulic, a fact which won't go unnoticed once you're behind the wheel. Of all the cars we've driven the WRX STI has the best steering feel. Shifts are sharp but do come at you fast and furiously. You'll be shifting a lot. We found third gear to be tall enough to sit in during the majority of our spirited back road sprints. If you want to live out your heel-toe Group B fantasies this is the car to do it in. Once you’ve gotten frustrated with your inability to heel-toe the STI is ready to return you to real life with seating for five and a massive trunk. At $35,490, the price our tester stickered at, it’s a great buy. Between the two lines it toes, practicality and fun, the WRX STI skews more towards the latter. The suspension is incredibly stiff, making city driving a pain. Ditto for the those front seats, which get uncomfortable quick. The infotainment system is bare-bones. The stereo system is terrible. And just because the engine is on the smaller side don’t think you’ll get great gas mileage. This isn’t a car you drive conservatively. We averaged a combined 15.9 mpg. Those issues aren't a big deal for folks whose sole goal is to tear up back roads. But they do hurt the car's marketability to a wider audience, an audience Subaru is starting to cater to. In case you haven't noticed, the company isn't exactly an alternative automotive choice anymore. Subaru is growing up in a big way. The automaker had its best sales year ever in the US in 2016, selling 615,132 cars. Of those the WRX and WRX STI—the two models report sales jointly—made up 5 percent of the automaker’s sales with just 33,734 sold. That's a 1.4 percent decline from 2015’s numbers. Those numbers have a good chance at declining further as the WRX and WRX STI won’t be truly new until 2020 when they move to the automaker's new Global Platform. 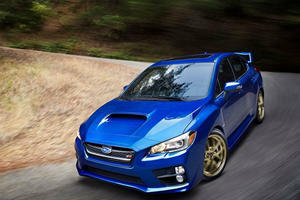 In the meantime, forces outside of Subaru’s control will continue to push down STI sales. Said forces are the rise of the crossover (Subaru’s top-seller in 2016 was the Outback) and the decline of drivers opting for vehicles with manual transmissions. Enthusiasts have the loudest voice in the auto industry but unfortunately all the shouting about manuals and stupidly big rear wings doesn’t drive sales. We won't write the WRX STI’s obituary today, tomorrow or a year from now. But watch Subaru’s growth over the next few years, especially once its seven-seat SUV hits. Subaru sedans will always have an edge over the competition thanks to standard AWD and sport driving characteristics. But sooner rather than later it may not make financial sense to build a manual-only sports sedan, even one as iconic as the WRX STI. If such a doomsday scenario does play out that’d be a real shame because this car has grown up along with its audience. The WRX STI’s maturity should be celebrated. We just hope there’s a diverse and large crowd, not just a group of diehards from years past, doing the celebrating. 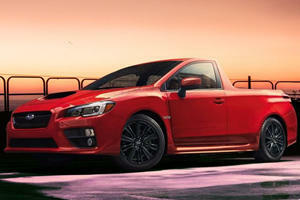 Subaru is risking sending the WRX STI into irrelevance if it keeps the car as far behind the competition as it is now. The term "muscle car" no longer only applies to American cars.